Great for something quick whether you want to sit in for a bit or takeaway and the portions are huge. Perfect if you are after a breakfast or something light like a bowl of soup or a sandwich. Fab selection of cakes too. refreshment. The carrot cake is particularly good in there. Twelve Triangles is one of Edinburgh's best little gems and not spoken about nearly enough. You can get a really good coffee there and I love the almond milk ice coffees they do too. The donuts are the star attraction though, so if you go you must buy a donut and be adventurous as they have some fabulously unique flavours! I have eaten here an embarrassing amount of times because honestly it is to die for. The pancakes, the waffles, the cakes you just can't go wrong. It is a build your own business regarding the menu and the add ons are amazing, pretzels, white chocolate, fruit, whipped cream, oreos you name it they have it. Visit with caution, it is not for those on diet but worth every morsel! This lovely little cafe was a great find one afternoon. 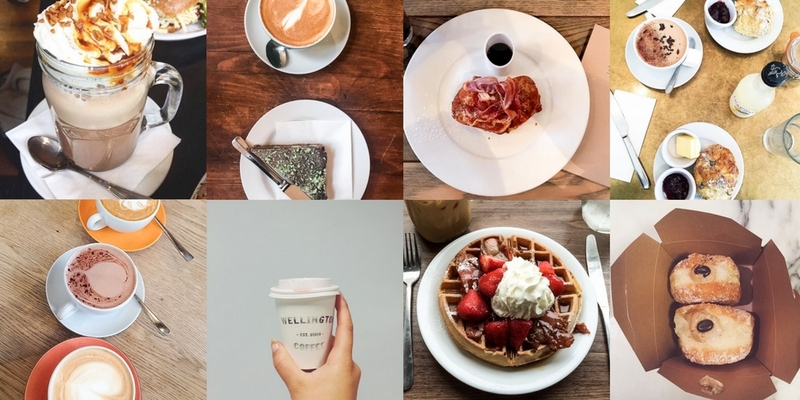 It is right in the centre of town and if you go mid week or super early you can catch the place quiet and really relax with one of their gorgeous waffles. It is also really reasonably priced so you can't go wrong! Okay so I saw this place hyped a lot on social media and when I finally managed to get a long to try I was not disappointed. If you love cheese, want a quick bite around 12ish possibly hungover, look no further. There is decent choice of breads and fillings as well as amazing sweet potato fries if you are super hungry. I often meet friends here for a light lunch or some breakfast because it really does just suit anybody. The food is amazing, it's really child friendly and the atmosphere and staff are relaxed and super accommodating as well as friendly. Great place to visit if you are in the Stockbridge area of the city. just have to try, mint aero tray brake was unbelievable! 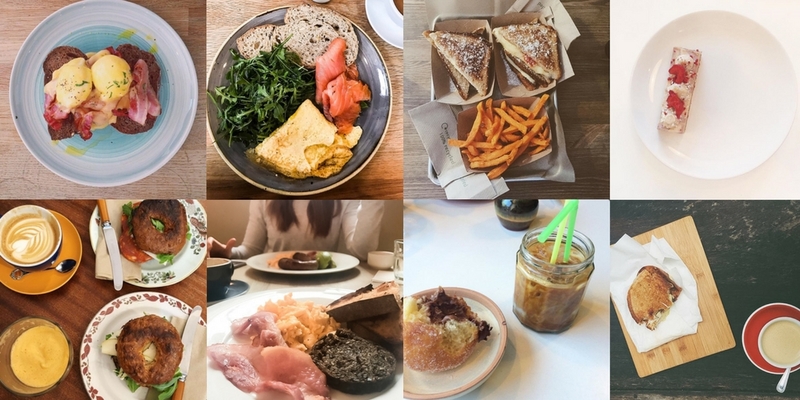 Okay so we have already raved about grams in our full review here but we had to include it again because it is one of the best brunch spots in Edinburgh. If you are after dairy, gluten and refined sugar free as well as being all raw natural ingredients and totally vegan this place is for you. Healthy, in the centre of town and delicious, what more can you ask for? We recently went to a bloggers brunch meet up here on a Sunday afternoon and we fell in love. It is in a great spot on quarter mile and it is such a bright and beautiful place to eat and chat. They have some really tasty healthy options and their sourdough bread is fantastic! I hope I have inspired you to brunch this coming week!